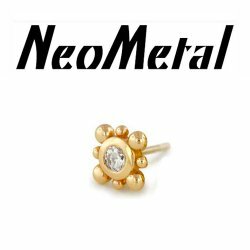 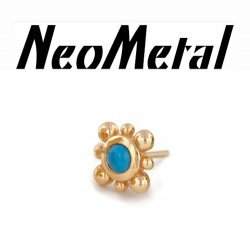 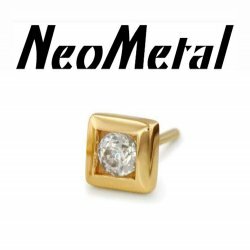 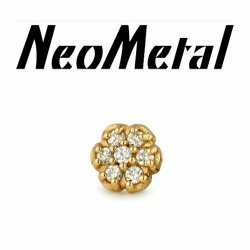 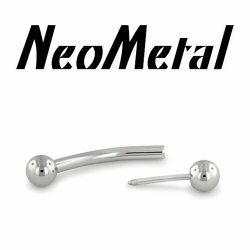 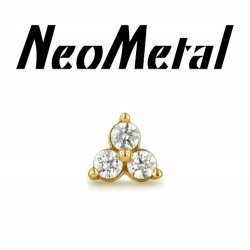 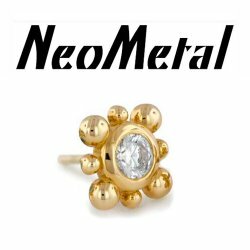 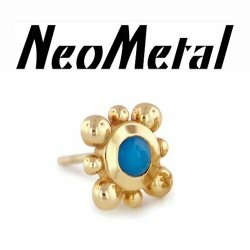 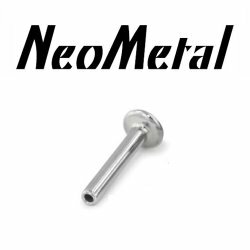 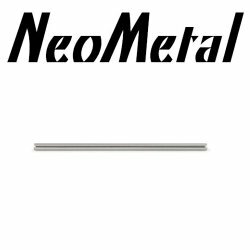 NeoMetal Threadless Body Jewelry. 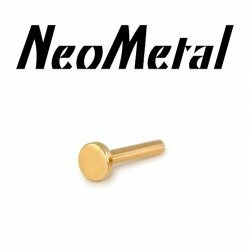 "Press-fit" threadless ends and barbells. 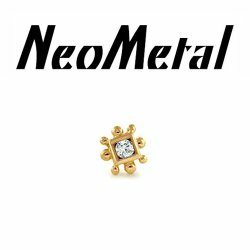 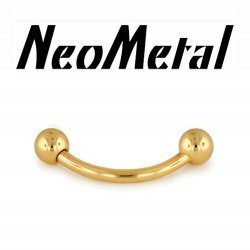 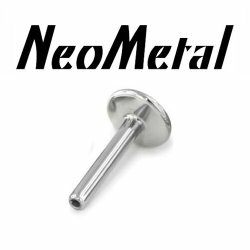 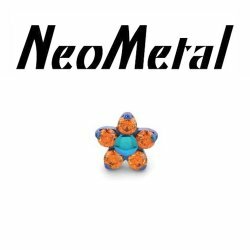 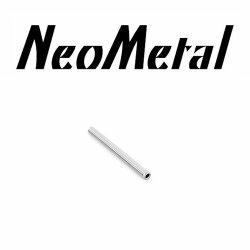 NeoMetal Threadless labret posts and gem ends. 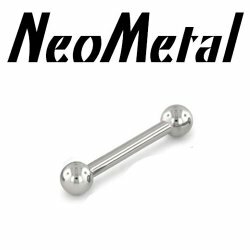 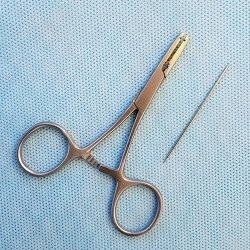 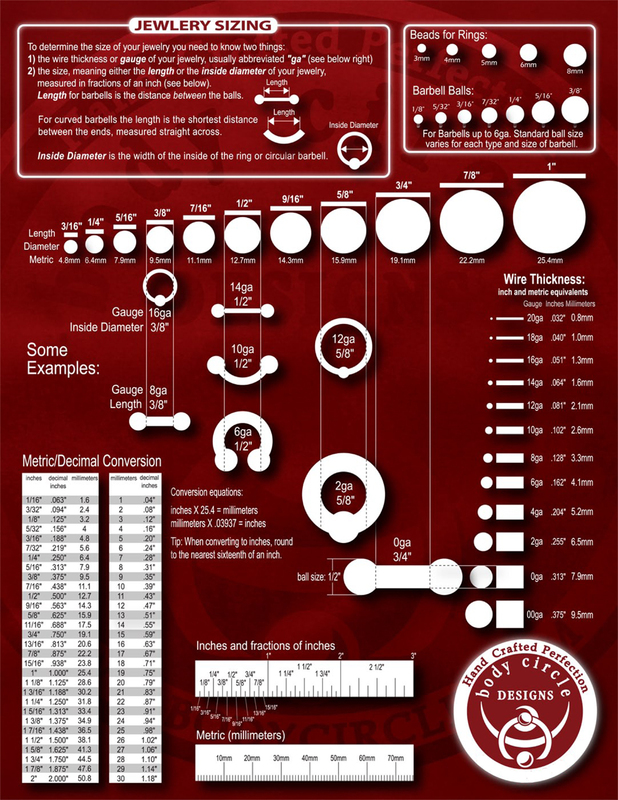 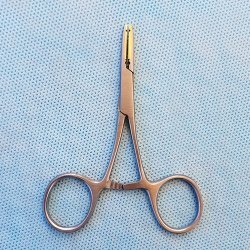 The "snap-fit" or "press-fit" threadless system is an effective alternative to internally-threaded jewelry and is currently in wide use by many body piercers. 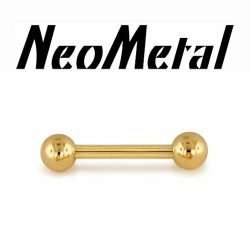 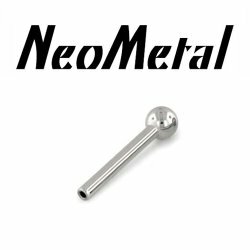 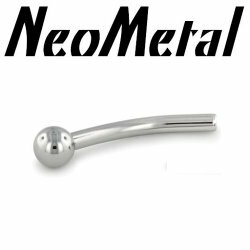 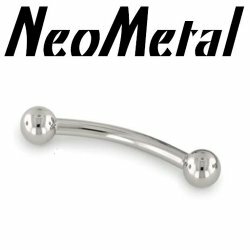 18 gauge 18g NeoMetal Threadless Titanium Complete Curved Barbell 3/32" Balls "press-fit"
18 gauge 18g NeoMetal Threadless Titanium Curved Barbell Shaft 3/32" Ball "Press-fit"
18 Gauge 18g NeoMetal Threadless Titanium Complete Straight Barbell 3/32" Ball Ends "Press-fit"
18 Gauge 18g NeoMetal Titanium Threadless Flower Gem End "Press-fit"